Chocolate also contains some vitamins are useful for the body such as vitamin A, vitamin B1, vitamin C, vitamin D, and vitamin E. In addition, chocolate also contains substances and nutrients essential for the body such as iron, potassium and calcium. Cocoa itself is the highest natural source of magnesium. If someone is magnesium deficiency, can cause hypertension, heart disease, diabetes, joint pain and problems that a woman's monthly pre-menstrual (PMS). By eating chocolate will add magnesium in daily nutrient intake that causes increased levels of progesterone in women. This reduces the negative effects of PMS. Other benefits of chocolate is to beauty, because antioxidants and catechins are present in it to prevent premature aging, so do not be surprised if at this time developed a very good chocolate body scrub for skin beauty. Many types of chocolate are available in the market. There are expensive, some are cheap. What are the differences? Here is a comparison type of chocolate and benefits of each. Dark Chocolate contains cocoa beans (cocoa), the highest of at least 70% containing cocoa. Dark chocolate contains cocoa or chocolate beans ever, without a lot of sugar and no trans fats or hydrogenated vegetable oils (HVO). While white chocolate has only 33% content of chocolate or cocoa, the rest is sugar, milk and vanilla. The content of this sugar which can give negative effects, such as tooth decay and diabetes. Milk chocolate or chocolate milk is a mixture of cocoa with milk and sugar added. This type of chocolate is also very popular because it tastes delicious. Mistakes are often made ​​when selecting chocolate is to choose a chocolate "branded" a cheap or very cheap. 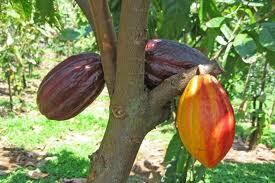 Thus has a cocoa content of chocolate (cocoa beans) are on average slightly less than 20%, some even less than 7%. This type of chocolate also contains high sugar, high saturated fat content and other evils such as hydrogenated vegetable oils (HVO), resulting in tooth damage and health problems like diabetes. Wherever possible choose a chocolate with a little sugar content so you can enjoy the great benefits that have chocolate. You will feel the benefits if you are consuming chocolate containing cocoa or chocolate beans is high. Enjoy your chocolate!